Just like adults, all children will reap the rewards from eating real, unprocessed food and cutting down on sugar, wheat and carbs in general. 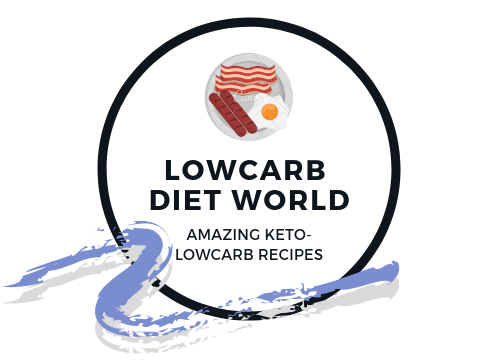 However, the importance of basing meals around starchy food is deeply ingrained in modern culture – and just mentioning low-carb eating in relation to growing kids can send some people into a panic. Surely it means they’ll be missing out on something essential? Here, we take a closer look at the top ten myths, and uncover the truth behind kids and low carb. There are no vitamins, minerals and micronutrients in starchy carbs that your kids can’t get elsewhere to feed their growing bodies – and other sources are usually far better quality. Remember, beige food is nutritionally empty, whereas real food (vegetables, meat, fish, butter, nuts, eggs, some fruit) is packed with what your kids’ bodies need to help them grow. In fact, studies have shown that chronic elevated blood glucose caused by high-carb diets can be far more dangerous for children’s growth. The “bulking up” theory is one of the favourite arguments against cutting down on carbs, especially for children. But starchy, beige food – the bread, pasta, rice, potatoes etc that are staple ingredients in many households – is devoid of nutrients. It’s one of the reasons we are the most overfed but undernourished generation in history. And they may well be bulky, but they don’t keep children full for long. While kids can often tolerate more carbohydrates than adults, feeding them high-carb food won’t sustain them throughout the day – they’ll experience sugar spikes and sugar crashes, which make them feel much hungrier than they would have done eating real food. “Two slices of wholewheat bread will raise your blood sugar higher and quicker than 6 teaspoons of sugar” (see video below). Much has been written about the brain needing glucose to function – a particular concern when you know your children need to concentrate at school. However, this is only a half-truth: while certain parts of the brain do only use glucose as fuel, others function very well on ketones, which are produced on a low-carb diet. Remember, this is low carb, not “no carb” – and kids get all the carbs they need from vegetables, fruit and dairy. It’s also worth bearing in mind that some recent studies indicate that sugar may actually compromise learning and memory as well as the ability to cope with stress. This is a particularly strange myth, because all food gives us energy (er, that’s what a calorie is!). So high-carb foods do indeed give your kids energy, but it’s short-lived and swiftly followed by a slump and – you’ve guessed it – sugar cravings. Picky eaters are particularly prone to this, as they often snack and graze on processed foods that are nutritionally lacking, such as flavoured yogurts, crisps, muesli bars and crackers, and end up skipping proper meals made up of real food. When you lower the carbs on your kids’ plates, they avoid the high/low blood-sugar rollercoaster – and those energy slumps. Kids’ bodies are growing, so of course they have different nutritional needs from adults. They need good fats – they keep you full for longer, contain essential fatty acids and supply the fat-soluble vitamins A, D, E and K.
They need protein – which helps build their growing muscles. And yes, children need carbohydrates – but nowhere near as much as people think. All the carbs and fibre they need can be found in vegetables, fruit and dairy. Stuffing kids with starchy, stodgy, processed, sugary foods does their bodies no favours at all. The phytic acid in grains have even been shown to hinder the absorption of iron, zinc and calcium, and wheat can reduce blood levels of vitamin D.
There is no deprivation for low-carb kids, just take a look at the wide variety of low-carb family friendly recipes here. We’ve said it before, but it’s worth repeating: we are advocating low carb, not “no carb”. No food group is being eliminated. The biggest sources of carbs should be vegetables, nuts, dairy and berries, rich in vitamins, minerals, fibre and antioxidants. Children can receive all the nutrients required for their growing bodies without the sugars and carbs of the modern diet. By crowding out the junk and removing processed food from their diet, and focusing on real, whole food (healthy fats, fresh vegetables and good quality proteins), children become low-carb eaters almost by default. Encouraging overweight children to eat a low-fat, calorie-restricted diet is a big mistake – especially as low-fat products are usually packed with added sugar. Healthy fats are essential for hormone production, healthy brain function, tissue development, appetite control and absorption of fat-soluble vitamins (A, D, E and K). Children especially need Omega-3 fatty acids for eye and brain development. Choose olive oil, butter, coconut oil, oily fish, nuts, seeds, eggs and meat, and encourage your children to eat their vegetables by putting butter, grated/shredded cheese, salad dressings and healthy oils on the table. Avoid seed oils, which are inflammatory and incredibly processed. Low-carb lunch boxes are surprisingly easy – and fun. We have all grown up with the traditional sandwich, but is it really a good lunch? The wheat is 80% carbs, which means the kids will be hungry again within an hour, and wheat can cause leaky gut and malabsorption of vitamins. So forget the bread, which is just a bulky filler, and focus on what you’d usually put inside it. Buy lunch boxes with little compartments, and fill them with real food: cheese cubes, cherry tomatoes, ham, carrots, hard-boiled eggs. Use cold meat, such as roast beef, as a “wrap” and put a cheese and vegetables inside. You can find plenty more ideas here. Children need vegetables – they are packed with fibre, vitamins, minerals, trace elements, antioxidants and phytochemicals. But many parents complain their kids won’t touch them, preferring fruit every time. The problem is, fruit and vegetables should not be seen as equal: fruit is incredibly high in carbs, especially fructose, so it should be limited to only one or two pieces per day (and they should only eat whole fruits, never fruit juice or dried fruits). Go for lower-sugar fruit such as berries, and cut back on high-sugar tropical fruits such as pineapple and melon. To encourage kids to eat more veggies instead, there are a few tricks you can try here, including disguising them in food they do enjoy, flavouring the vegetables with delicious low-carb sauces, and adding butter and cream. Guiding your children towards low-carb eating isn’t about putting your kids on a diet – it’s about eating real food that is natural, delicious and rich in nutrients for their growing bodies. And no one should argue there’s anything unhealthy about that.